Pictures compliments of Carol Sue Preston Moll. A marriage on 10th March 1655/6 between Nickolas Preston of Tixall and Mary Smith – sometime of St. Mary’s (probably of St. Mary’s Stafford) recorded by Staffordshire Parish Registers Society 1935-6 part, presumably from St. Mary’s Register in Stafford. The 1666 Hearth Tax for Tixall shows Edward Preston with 2 Hearths and John Preston with another 2 Hearths, described as now William Preston – probably John’s son. John was a church Warden and Village Constable. 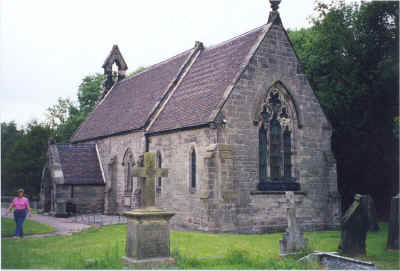 In 1685, 1698 and 1714 Joshua Preston of Tixall was a Church Warden at Tixall. 14th April 1691 John Preston, friend and neighbor was a beneficiary under Ann Eld’s will. In 1698 John Preston was working a strip of land in one of the communal fields at Tixall. 11th January 1709 Ann Preston was buried Tixall. 25th August 1711 John Preston Snr had 3 days work in Further Field, 2 days in Middle Field and 4 days in Nearmost Field and John Preston Jrn had 2 days work in Middle Field – all at Tixall. 19th April 1719 Probate was granted on letters of Administration for John Preston – he had obviously died without making a will. 5th May 1721 William Preston aged 21 was buried at Tixall. 14th October 1721 Edward Preston was occupying lands at Tixall. On 1st September 1723 Edward & Ann Preston’s daughter Elizabeth was baptized. On 31st July 1726 their son Edward was baptized. 16th January 1731/2 their daughter Ann was buried. 26th January 1732 Probate was applied for Edward Preston with Eld Bickford as the administrator and a detailed inventory dated 20th April 1732. 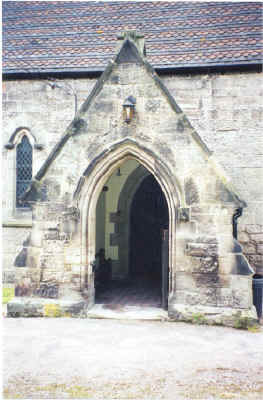 4th March 1732 Edward Preston was Church Warden at Tixall. 27th September 1734 Sarah Preston daughter of Edward Preston was baptized at Tixall. 9th September 1737 John Preston son of Edward & Ann Preston was baptized. 11th March 1738 John Preston, an infant was buried. 20th May 1742 Edward Preston aged 53 who had lived in Tixall for several generations had ploughed Tixall Heath and given (symbol for pounds) 10 to the parson and the poor. 19th November 1748 Edward Preston – Late tenant of 1 lands & 3/4s in Further Field only, 3 lands & 4 1/4s in Middle Field with Henry Morrel; 4 lands & 3 1/4 in Nearmost Field Henry Morrell with William Bayley, & Richard Timmins – Late Edwd Preston. 17th September 1755 Edward Preston buried at Tixall. 9th July 1732 John Preston son of Philip & Hanna Preston of Milford was baptized at Tixall. 25the May 1735 Elizabeth Preston was buried at Tixall. 25th June 1738 Elizabeth daughter of George & Mary Preston of Haywood was baptized. 27th April 1740 Peter Preston son of George & Mary Preston of Haywood was baptized. 29th September 1761 Edward Preston a Tixall tenant – owed 1 5s for 1 acre in Brimsey. 25th March 1762 Edward Preston a Tixall tenant – 1 5s for 1 acre in Brimsey due; 1 5s arrears cfwd. Now Jno Tomkinson at will 28 acres 3r 7p @ 17, but she holds part of this & pays no rent worth 4pa presumable held by Preston’s widow. 13th February 1772 Ann Preston was buried at Tixall. 29th January 1774 Edward Preston was buried at Tixall. May 1838 Thomas Preston, aged 27 died. 17th February 1980 Amy Preston of Eccle Riggs, Holdiford Rd, died aged 89, buried 21st February at Tixall.